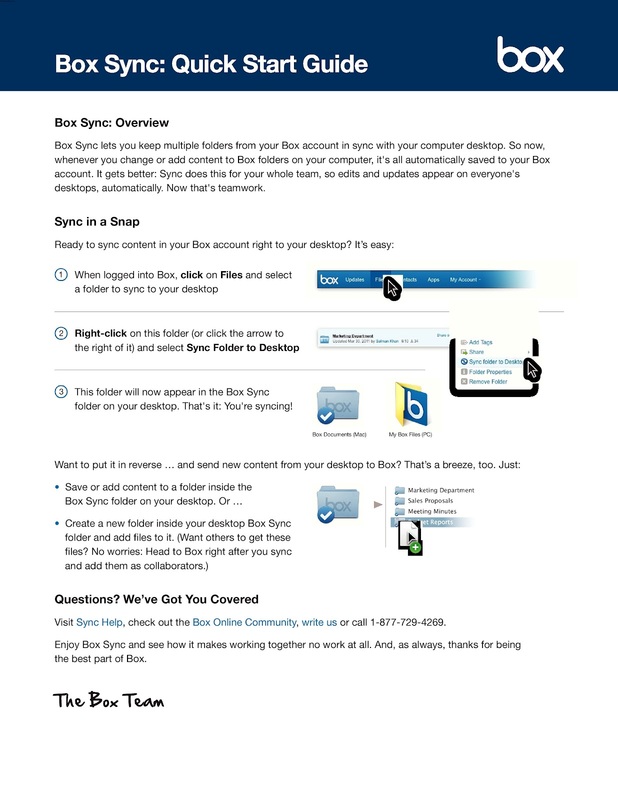 Box Sync lets you keep multiple folders from your Box account in sync with your computer desktop. So now, whenever you change or add content to Box folders on your computer, it's all automatically saved to your Box account. 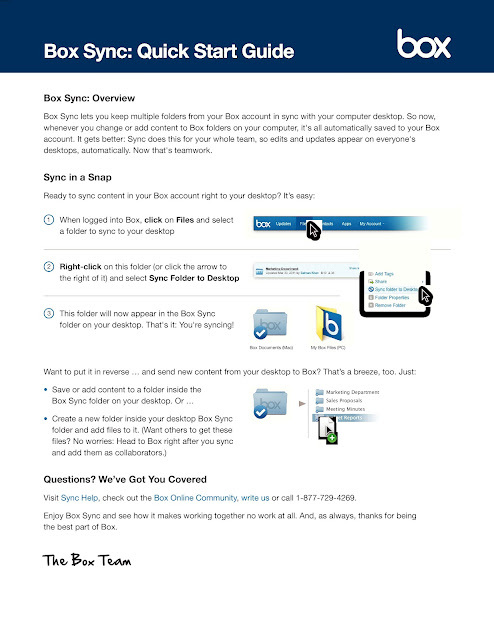 It gets better: Sync does this for your whole team, so edits and updates appear on everyone's desktops, automatically. When logged into Box, click on Files and select a folder to sync to your desktop Right-click on this folder (or click the arrow to the right of it) and select Sync Folder to Desktop This folder will now appear in the Box Sync folder on your desktop. That's it: You're syncing! Visit Sync Help, check out the Box Online Community, write us or call 1-877-729-4269. Enjoy Box Sync and see how it makes working together no work at all. And, as always, thanks for being the best part of Box.